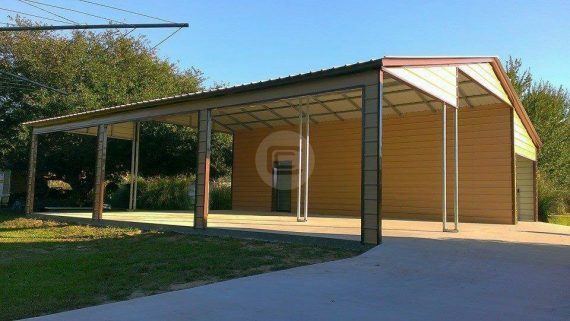 40 x 31 x 12/9 Vertical Continuous Roof Barn includes 16 x 31 Center with Gabled Ends and wall frame outs. 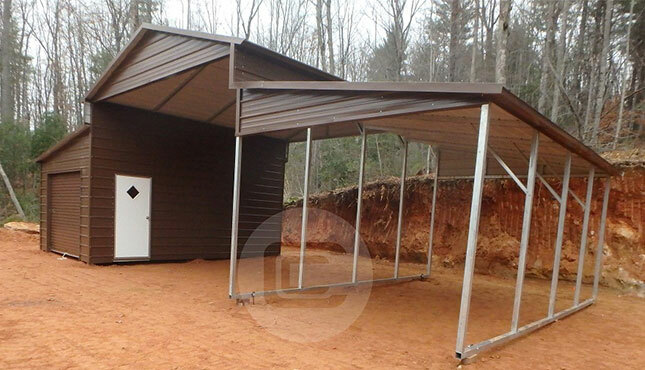 Left lean to 12 x 31 with Gabled ends, closed sidewall with (3) frame outs. 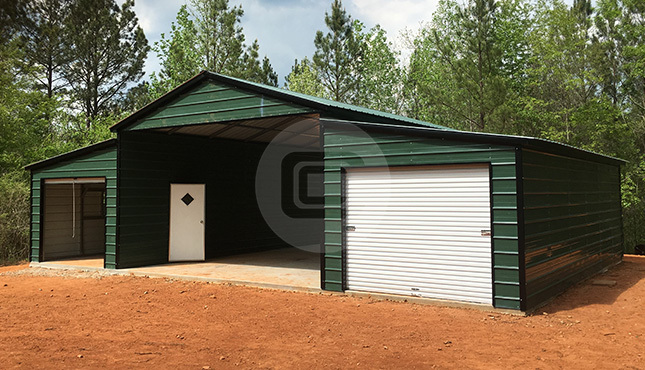 Right lean to 12 x 31 fully enclosed sides and gabled ends, finished off with J-trim and walk door.